I want to love Linux but it doesn’t share my feelings. To be honest, I think it’s hurt that I’m only looking for a fling; a trophy of geekdom to casually flaunt at parties. “Yeah, I”ve got a Linux box at home.” We both know that when I’m done experimenting I’ll head back to the Mac. I think that’s the problem with Linux, even all dressed up in Ubuntu’s latest, it wants a serious commitment. 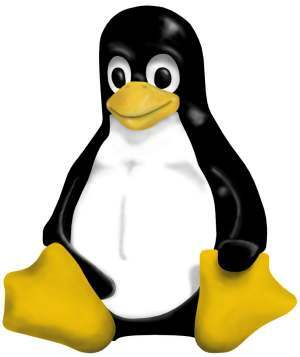 Linux is a idealist and I’m looking for practicality. The little penguin even lectures me when I try to have a little fun with Flash. “Lighten up a little. I’m just looking for some fun,” I reply. We’re ships passing in the night, exchanging glances, thinking what could be but ultimately knowing nothing will come of it. I can tell this spunky OS has features and the ideals it pushes are mesmerizing. Sadly, those ideals aren’t as easy to live with as they are to listen to. Sure, I want information to be free but the cool stuff, it’s not free, and Linux can’t compete. So every once in a while I’ll keep looking back over my shoulder at the little preachy penguin, wishing that it could live up to it’s own dreams; but sadly, I’ll walk away with Mac because I can live with Mac.